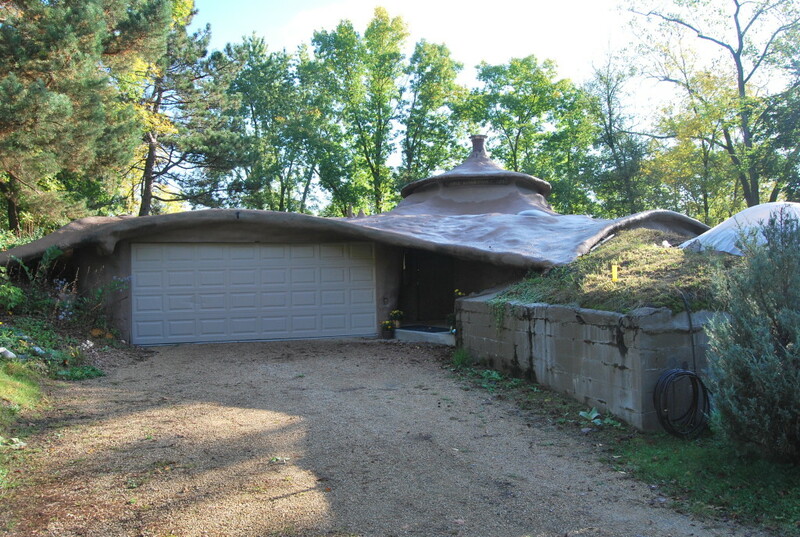 We’ve looked at beautiful, historic, and quirky houses in Minnesota at HighwayHighlights many times before. We’ve researched, photographed, ranked, researched some more, explored some more, hit the road more, found more. 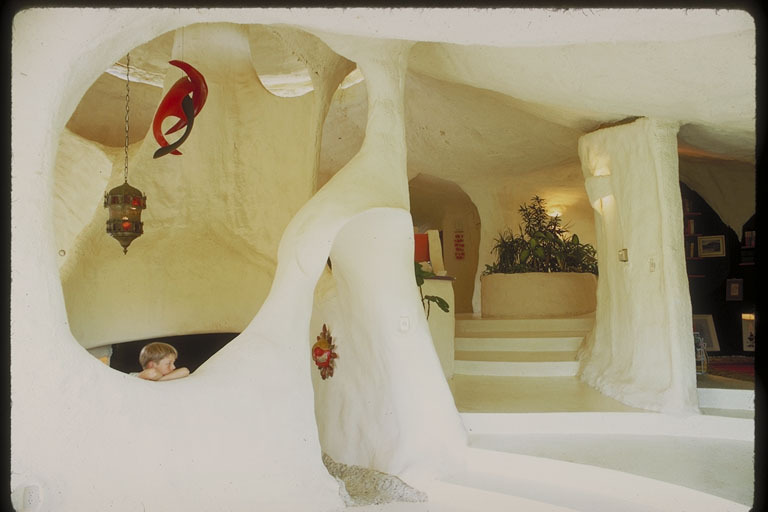 There are so many beautiful and quirky homes, but probably nothing is more bizarre than the Ensculptic House. Ensculptic defies any type of categorization. 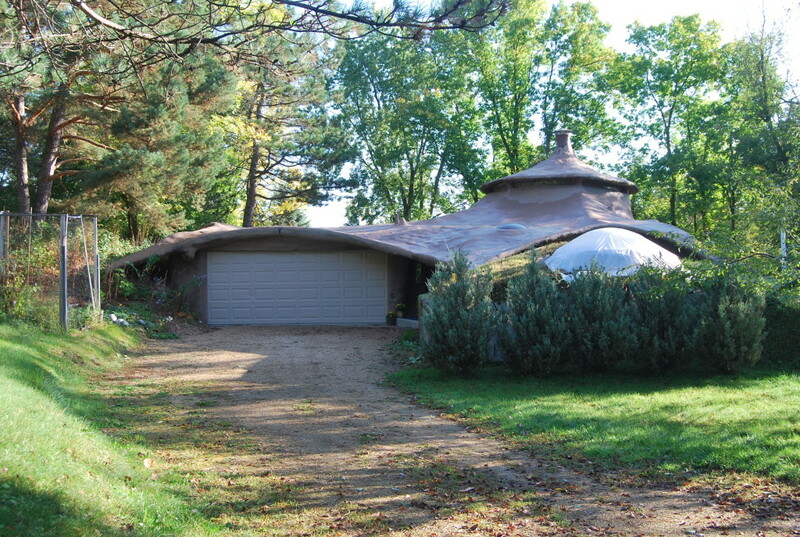 It follows no architectural style, uses very little traditional building material, isn’t quite a Cob House or an organic Frank Lloyd Wright style – it is made from polyurethane spray-foam over burlap on a metal skeleton and has very few windows or distinctive angles. The house is found down a rural road out in the country, west of the Twin Cities about 20 minutes (somewhat near Lake Minnetonka). You would never know it was there unless you stumbled upon it. 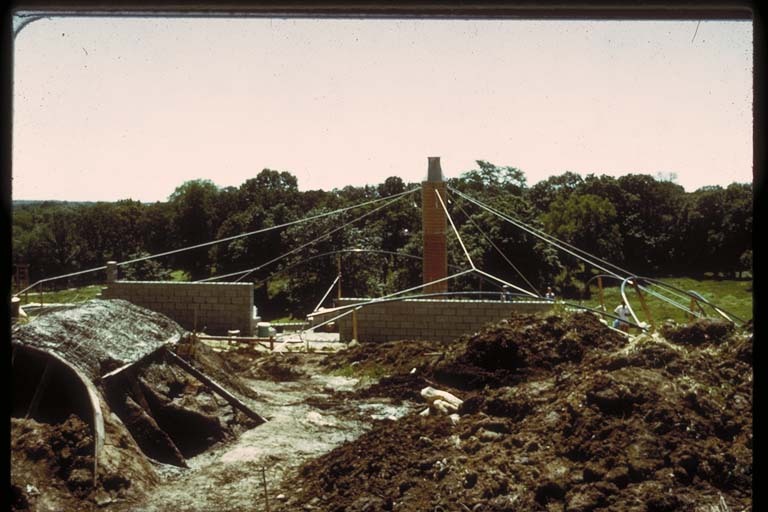 Enscultpic was the brainchild of architect Winslow Wedin, built in the summer of 1969. Winslow, a local architect who had a studio in Plymouth, brought seven architecture students from Auburn University in Texas and they camped out over the summer while building the home. 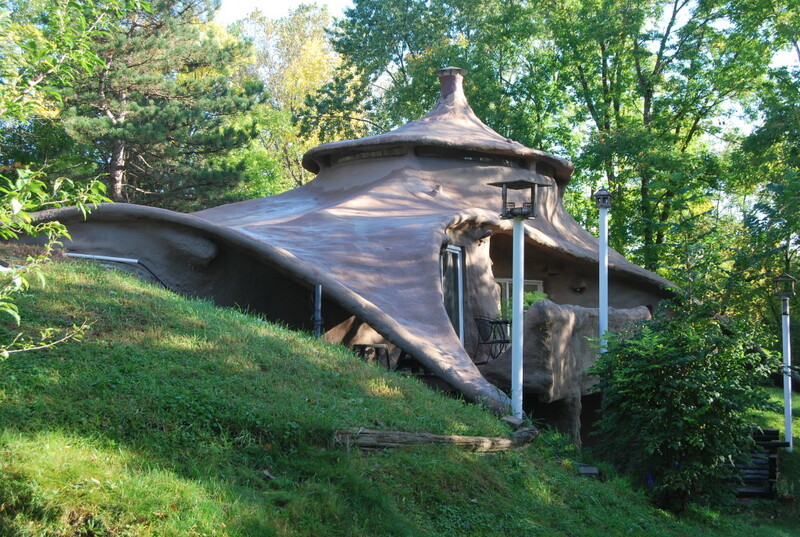 It’s often described as a “mushroom house,” a “hobbit house,” or the “marshmallow house.” It’s difficult to describe it. Wedin passed away somewhat recently, but you can read his writings about building Ensculptic here. As many quirky houses do, Ensculptic fell into hard times around a decade ago and sat vacant and for sale. Realtors found it a difficult sell, and lenders were reluctant to finance it. Around 2011, it was purchased by an out-of-state couple who use it as a seasonal home. 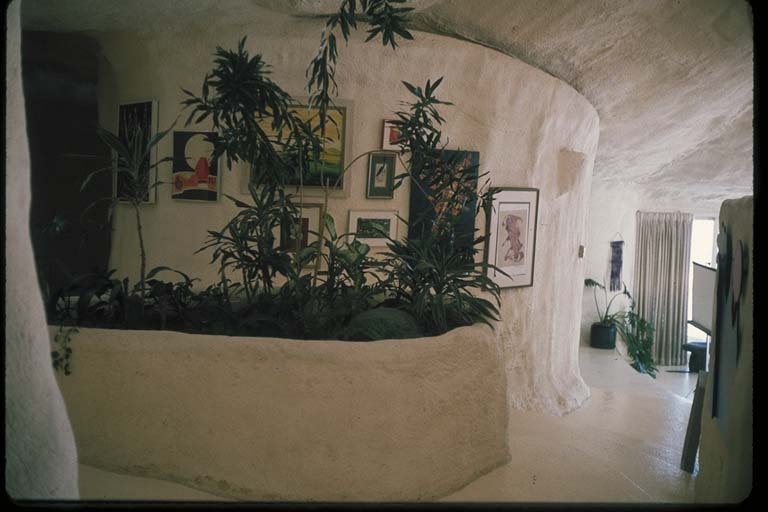 There are some grainy old photos of Ensculptic’s construction and also of its interior on Ensculptic.com, an outdated website which once promoted foam houses. It would be a lot of fun to take a tour someday of this curious abode, as the inside looks even more bizarre than the exterior. It just never ceases to amaze me the quirky things to be found in Minnesota. Ensculptic is the most one-of-a-kind house in the state and very, very people have heard about it. Rumor has it the architect built another like it in Duluth, does anyone know more about this? Let us know in the comments below! 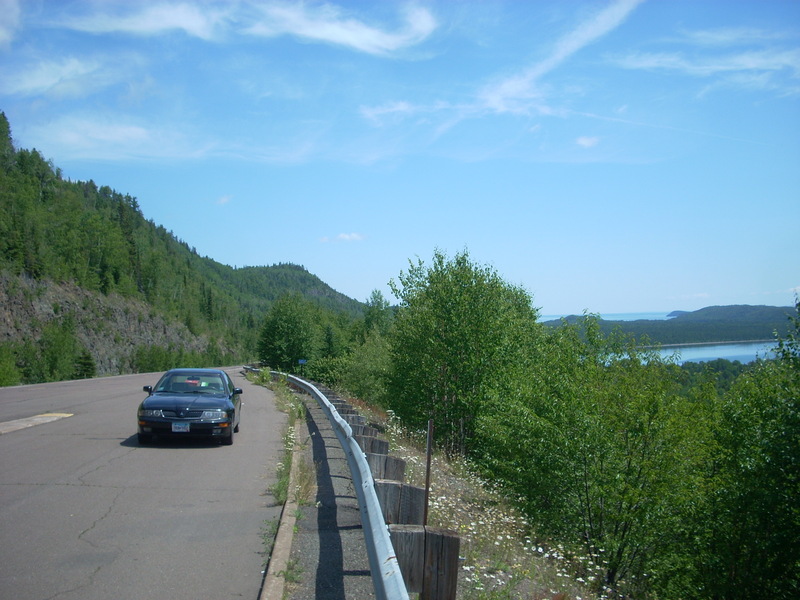 While in the area: Minnetrista is found outside of Minneapolis’ western suburbs just northwest of Lake Minnetonka, which is a fun area in itself to drive around. Swing into the fun, touristy Excelsior and check out Mr. Jimmy’s Bench before popping into Excelsior Brewing for a cold one.